It is shown that the lower limit in the Coulomb logarithm is governed by the collective behavior of a plasma rather than by binary collisions with small impact parameters. For this reason, under the assumption that the particle-to-particle momentum transfer is governed mainly by binary collision, the numerical coefficient in the second moment of the momentum transferred turns out to be overestimated by a factor of two. In other words, the multiparticle character of the lower limit in the Coulomb logarithm governs not only the logarithm itself but also the numerical coefficient in front of it. 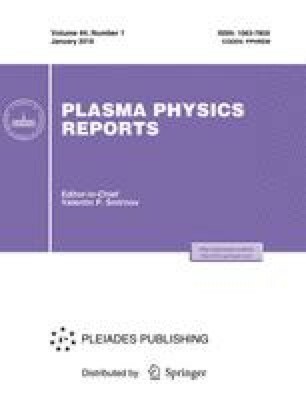 Correctly incorporating the fluctuation electric fields on spatial scales shorter than or close to the Debye radius (the multiparticle nature of collisions in a plasma) provides a new insight into the physics of Coulomb collisions and leads to the appearance of a new characteristic spatial scale (rDrmin)1/2 in plasma theory. Hence, an almost ideal plasma possesses a unique feature: the existence of a spatial scale that is much shorter than the mean distance between the particles and has no analogues in the systems of particles in which the interaction potential is not of Coulomb origin. The problem is considered in the limit of infinitely large values of the Coulomb logarithm. Translated from Fizika Plazmy, Vol. 26, No. 6, 2000, pp. 556–565. Original Russian Text Copyright © 2000 by Gordienko.